W. Bro. Richard Bowyer, DPGM, was delighted to visit the Mark of True Friendship RAM and Mark Lodges on Wednesday 8th March, 2017, at Saxon Hall, Southend on Sea. 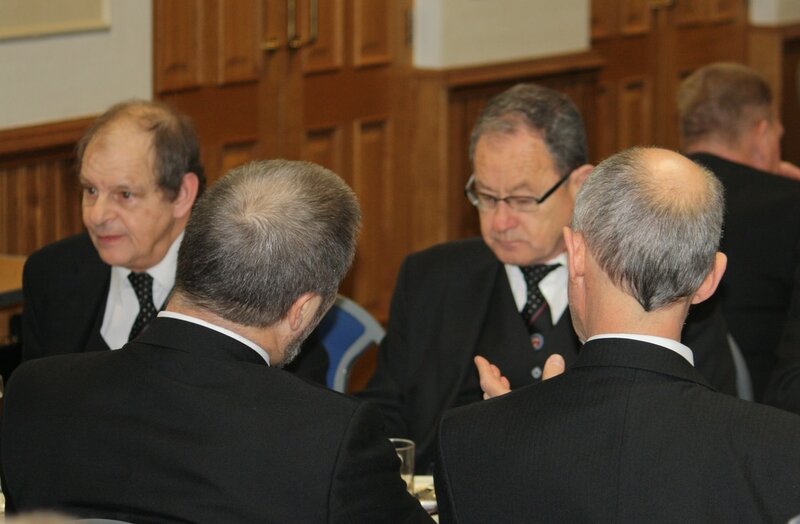 The meeting had been scheduled for an official visit by the Provincial Grand Master, but he was, unfortunately, taken ill on the day and was unable to attend. 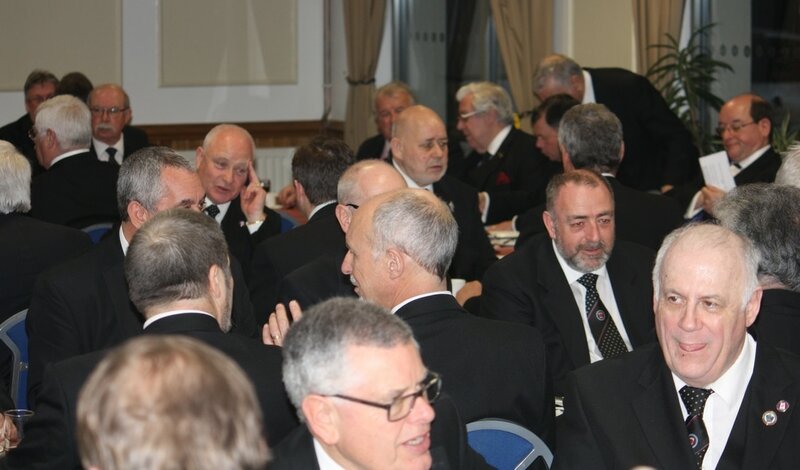 With a retinue of over twenty Active Provincial Officers, as well as a large number of guests, the number attending the Lodge meetings was significantly increased and a fine time was had by all. Owing to a clash with other units meeting at the centre, the meetings were held in the Olympic Suite which, in fairness, formed a fine venue for the meetings. As is the PGM's wish, the opening ode was sung in the RAM and the result was a rousing beginning to what would be a better and better evening as it progressed. With the RAM meeting concluded, the Mark was opened and the DPGM formally admitted and welcomed by W. Bro. Colin Felton who offered him the gavel which was politely declined. The business of the evening was to install Bro. 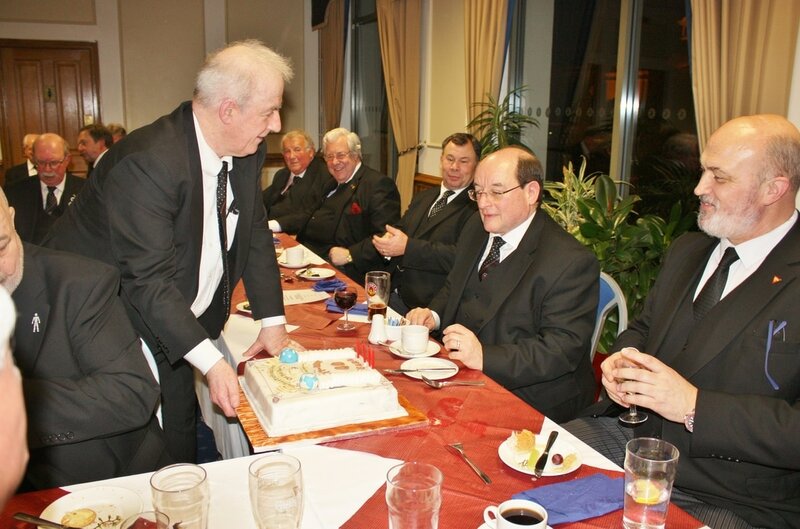 Colin Crombie as Master which, for such a busy man in W.Bro. Felton, was done in the finest of style and in a manner rarely equaled let alone bettered. The new WM, (now) W.Bro. Crombie, himself an influential and highly experienced Freemason, then proceeded to appoint and invest his officers in a fine, humorous and heartfelt manner. 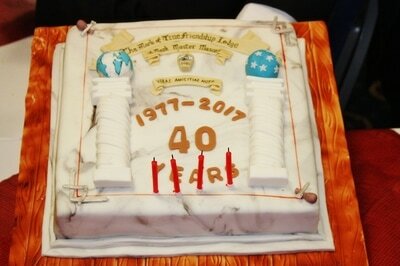 The meeting was also the fortieth anniversary of the Founding of the Lodge in March 1977. There are still three Founders present members of the Lodge, they being V.W. Brothers Ray Clare and Len Davies and W. Bro. Aubrey Temple. Both Ray Clare and Len Davies were present, Aubrey Temple being, sadly, absent due to ill health. We were treated to a personal recollection of the Founding and earliest years of the Lodge from V.W.Bro. Len who also passed around a photograph of the Founding members showing that time had not been too cruel on them, but the hair was distinctly darker and the styles were a bit 70s! 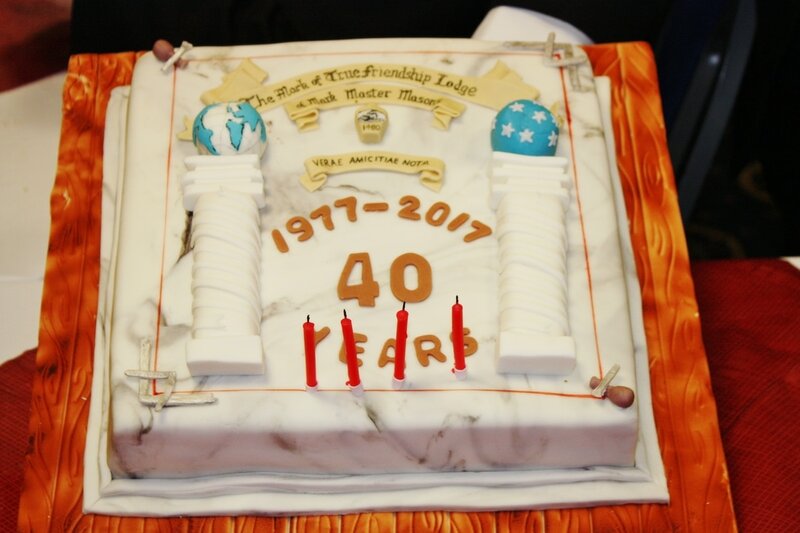 ​ The Lodge closed, all present retired to a fine four course meal and, as a final treat, an excellent cake baked for the occasion in the style of the Lodge Summons. W.Bro. 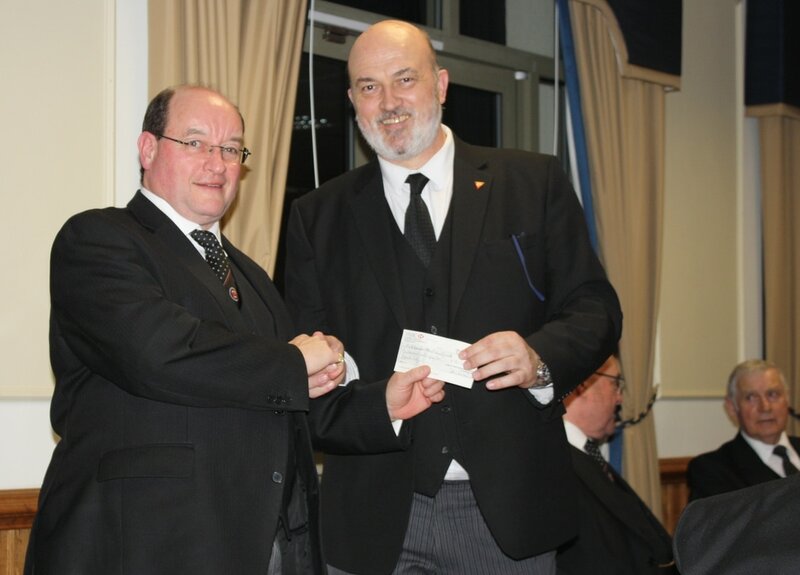 Crombie was also pleased to present the DPGM with a cheque for £181, that being the amount raised in the Lodge collection, to be added to the donations for the MBF Charity Walk. All in all, an excellent evening enjoyed on the finest traditions of Mark Masonry. The work submitted for Inspection!